The hunt for British Big Cats attracts far more newspaper-column inches than any other cryptozoological subject. There are so many of them now that we feel that they should be archived by us in some way, and we should have a go at publishing a regular round-up of the stories as they come in. 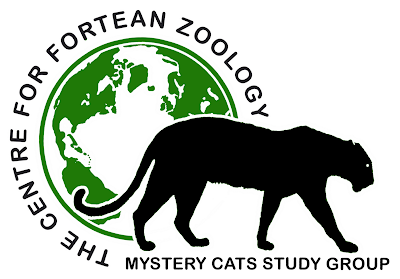 In September 2012 Emma Osborne decided that the Mystery Cat Study Group really deserved a blog of its own within the CFZ Blog Network.